can never be deceived in believing them." "We left home quite early, expecting that we would be delayed along the way. Masses of people thronged the roads. The rain fell in torrents. My mother, her heart torn with uncertainty as to what was going to happen, and fearing ti would be the last day of my life, wanted to accompany me. On the way, the scenes of the previous month, still more numerous and moving, were repeated. Not even the muddy roads could prevent these people from kneeling in the most humble and suppliant of attitudes. We reached the holmoak in the Cova da Iria. Once there, moved by an interior impulse, I asked the people to shut their umbrellas and say the Rosary. A little later, we saw the flash of light, and then Our Lady appeared on the holmoak. "I want to tell you that a chapel is to be built here in my honor. 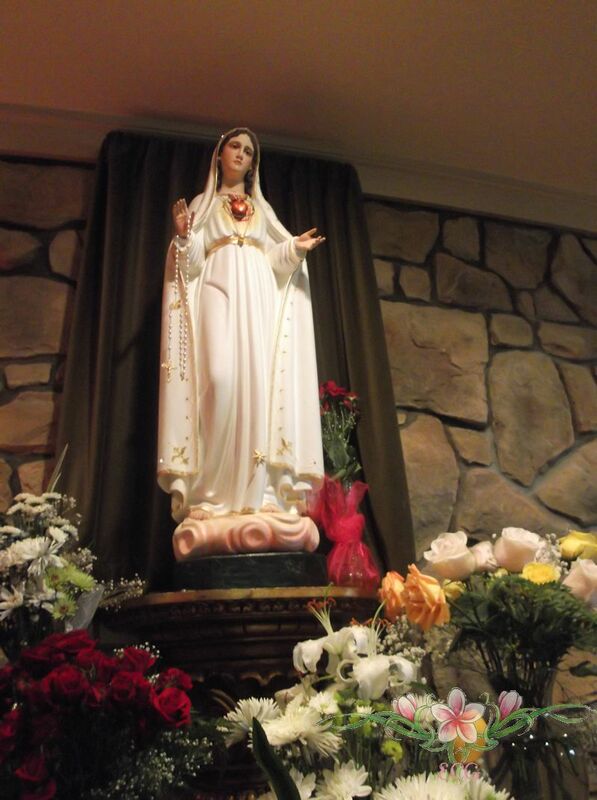 I am the Lady of the Rosary. Continue always to pray the Rosary every day. The war is going to end, and the soldiers will soon return to their homes." 'I have many things to ask you: the cure of some sick persons, the conversion of sinners, and other things..."
After Our Lady had disappeared into the immense distance of the firmament, we beheld St. Joseph with the Child Jesus and Our Lady robed in white with a blue mantle, beside the sun. St. Joseph and the Child Jesus appeared to bless the world, for they traced the Sign of the Cross with their hands,. When, a little later, this apparition disappeared, I saw Our Lord and Our Lady; it seemed to me that it was Our Lady of Dolors. Our Lord appeared to bless the world in the same manner as St. Joseph had done. 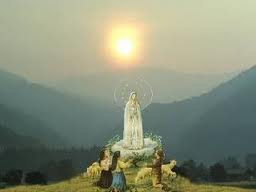 This apparition also vanished, and I saw Our Lady once more, this time resembling Our Lady of Carmel. for it strengthens man and increases his charity." Is it from God or is it from Satan? Today's Magnficat's Meditation helps us discern. "Since the devil may disguise himself as a good spirit and even cause what appears to be authentic mystical phenomena, it is helpful to mention briefly the various signs of the diabolical spirit. 2. Morbid curiosity. This is characteristic of those who eagerly seek out the esoteric aspects of mystical phenomena or have a fascination for the occult or preternatural. 5. Constant indiscretion and a restless spirit. Those who constantly go to extremes, as in penitential exercises or apostolic activity, or neglect their primary obligations to do some personally chosen work. 8. despair, lack of confidence, and discouragement A chronic characteristic that alternates with presumption, vain security, and unfounded optimism. 9. Disobedience and hardness of heart. 10. Impatience in suffering and stubborn resentment. 11. Uncontrolled passions and strong inclination to sensuality, usually under the guise of mystical union. 12. Hypocrisy, simulation, and duplicity. 13. Excessive attachment to sensible consolations, particularly in their practice of prayer. 14. Lack of deep devotion to Jesus and Mary. 15. Scrupulous adherence to the letter of the law and fanatical zeal in promoting a cause. This characteristic readily opens the door to diabolical influence in reformers and demagogues." #19. "With zeal and patience pastors of souls must promote the liturgical instruction of the faithful and also their active participation, both internal and external, taking into account their age, condition, way of life and standard of religious culture. By so doing pastors will be fulfilling one of the chief duties of a faithful dispenser of the mysteries of God, and in this matter they must lead their flock not only by word but also by example..."
...(3) "Therefore no other person, not even a priest, may add, remove, or change anything in the liturgy on his own authority..."
"When faith grows weak, all virtues are weakened. When faith is lost, all virtues are lost." 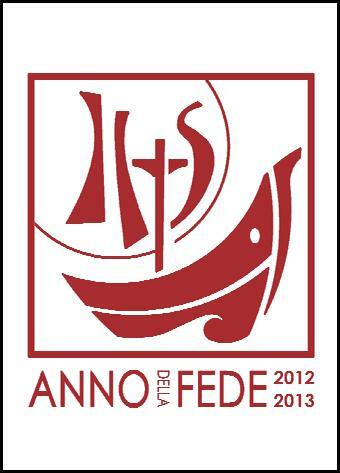 Well, tomorrow begins the Year of Faith! Actually, this is very exciting. As you may know, tomorrow is the feast of Blessed Pope John XXIII. The Catholic Church is also commemorates the 50th anniversary of the Second Vatican Council. 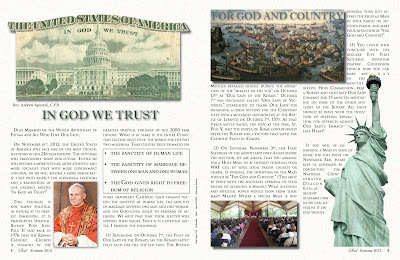 Lastly, it is the 20th anniversary of the publication of the Catechism of the Catholic Church. 1. Journal of a Soul by Pope John XXIII. via Roman Catholic Spiritual Direction Book Club. Blessed Pope John XXIII's personal notebooks, papers, writings compiled into one large volume. He started his journal writing as a young boy. "I was a good boy, innocent, somewhat timid. I wanted to love God at all costs and my one idea was to become a priest, in the service of simple souls who needed patient and attentive care. Meanwhile I had to fight an enemy within me, self-love, and in the end I was able to get better of it. But I was mortified to feel it constantly returning. I was troubled about my distractions during prayer and I imposed severe sacrifices on myself to get rid of them. I took everything very seriously and my examinations of conscience were detailed and severe...Now, at a distance of more than sixty years, I can look upon these first spiritual writings of mine as if they had been written by someone else, and I bless the Lord for them..."
I wonder if there is anyone who read the above without being touched by this holy Father's humility and sincerity of heart. 3. The Holy Bible. Consider reading it from the very beginning (Genesis). 4. The Catechism of the Catholic Church. Also consider reading the Catechism from the very start. But an easier way is to sign up to get daily readings. See sidebar for signup information. Here at this blog I will try to post a saintly quote about faith to help us rediscover our the theological virtue of faith and to grow to appreciate it as this jubilee year progresses. On November 3, 2012 the first Saturday of the month, the World Apostolate of Fatima is asking for Masses to be offered. BELLS TO RING IN YEAR OF FAITH! At 12 noon on October 11th, hundreds of Catholic churches and thousands of people across the United States will be joining together to ring in the first day of the Year of Faith. Every church is invited to take part. Anyone who will be attending the Noon Mass that day, please bring a bell and join us in ringing them for 3 minutes to celebrate the beginning of the Year of Faith. VATICAN CITY, OCT. 5, 2012 (Zenit).- Here is the translation of the Decree released by the Apostolic Penitentiary granting Plenary Indulgence during the Year of Faith. On the day of the 50th anniversary of the solemn opening of the Ecumenical Council Vatican II, to which Blessed John XXIII "assigned as main task to guard and present better the precious deposit of the Christian Doctrine, to make it more accessible to Christ's faithful and to all men of good will" (John Paul II, Apostolic Constitution Fidei Depositum, October 11, 1992: AAS 86  113), the Supreme Pontiff Benedict XVI has established the beginning of a Year dedicated particularly to the profession of the true faith and to its correct interpretation, with the reading, or better, with the pious meditation of the Acts of the Council and of the Articles of the Catechism of the Catholic Church, published by Blessed John Paul II, thirty years after the beginning of the Council, with the precise intention to "induce the faithful to adhere better to it and to promote knowledge of it and its implementation" (Ibid., 114). Already in the year of the Lord 1967, to recall the 19th centenary of the martyrdom of the Apostles Peter and Paul, a similar Year of Faith" was proclaimed by the Servant of God Paul VI, "to attest in a solemn profession of Faith, in as much as the essential contents that for centuries have constituted the patrimony of all believers, are in need of being confirmed, comprehended and deepened in an ever new way, in order to give coherent witness in historical conditions that are different from the past" (Benedict XVI, Apostolic Letter Porta Fidei, no. 4). 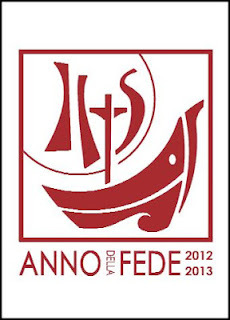 In this time of profound changes, to which humanity is subjected, the Holy Father Benedict XVI, with the proclamation of this second Year of Faith, intends to invite the People of God, of whom he is the universal Pastor, as well as brother Bishops of the whole world "to join the Successor of Peter, in the time of spiritual grace that the Lord offers us, in recalling the precious gift of the faith" (Ibid., no. 8). To all faithful will be given "the opportunity to confess their faith in the Risen Lord [.] in the cathedrals and churches of the whole world; in [their] homes and with [their] families, so that everyone will feel strongly the need to know better and to transmit to future generations the everlasting faith. Religious as well as parish communities, and all the ancient and new ecclesial realities, will find the way in this Year to make public profession of the Creed" (Ibid.). Moreover, all the faithful, individually and in community, will be called to give open witness of their faith before others in the particular circumstances of daily life: "Man's social nature itself exacts that he express externally the acts of religion, that he communicate with others in religious matters, profess his religion in a communal way" (Declaration, Dignitatishumanae, December 7, 1965: AAS 58 , 932). 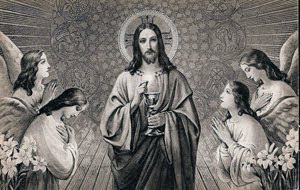 Because it is above all a question of developing to the highest degree -- in so far as it is possible on this earth -- holiness of life and hence of obtaining, in the highest degree, purity of soul, very useful will be the great gift of Indulgences, which the Church, in virtue of the power conferred on her by Christ, offers to all those who with the proper dispositions fulfill the special prescriptions to obtain them. "With the Indulgence -- Paul VI taught -- the Church, making use of her power of minister of the Redemption wrought by Christ the Lord, communicates to the faithful the participation of this fullness of Christ in the communion of Saints, furnishing them in very large measure the means to attain salvation" (Apostolic Letter Apostolorum Limina, May 23, 19745: AAS 66  2898). Manifested thus is the "treasure of the Church," "of which also the merits of the Holy Mother of God and of all the elect, from the first to the last righteous" constitute "a further increase" (Clement VI, Bull Unigenitus Dei Filius, January 27, 1343). The Apostolic Penitentiary, which has the task of regulating what concerns the concession and use of Indulgences, and of stimulating the spirit of the faithful to conceive correctly and to nourish the pious desire to obtain them -- solicited by the Pontifical Council for Promoting the New Evangelization, in attentive consideration of the Note with pastoral indications for the Year of Faith of the Congregation for the Doctrine of the Faith, in order to obtain the gift of the Indulgences during the Year of Faith --, has established the following dispositions, issued in conformity with the mind of the August Pontiff, so that the faithful will be greatly stimulated to know and love the Doctrine of the Catholic Church and obtain more abundant spiritual fruits. During the whole span of the Year of Faith, proclaimed from October 11, 2012 to the whole of November 24, 2013, all individual faithful truly repentant, duly confessed, communing sacramentally, and who pray according to the intentions of the Supreme Pontiff, will be able to acquire a Plenary Indulgence from the temporal punishment for their sins imparted by God's mercy, applicable in suffrage to the souls of the deceased faithful. d.- A day freely chosen, during the Year of Faith, for the pious visit of the baptistery or other place, in which they received the sacrament of Baptism, renewing the baptismal promises in any legitimate formula. Diocesan or Eparchial bishops, and those who in law are equivalent to them, in the most appropriate day of this time, on the occasion of the main celebration (for example November 24, 2013, on the solemnity of Jesus Christ King of the Universe, with which the Year of Faith will close) will be able to impart the Papal Blessing with the Plenary Indulgence, to be gained by all the faithful who receive this Blessing devoutly. The truly repentant faithful, who cannot take part in solemn celebrations for serious reasons (as, first of all, nuns that live in convents of perpetual cloister, anchorites and hermits, prisoners, the elderly, the sick, as well as those that, in hospitals or other nursing places, give continuous service to the sick . ), will obtain the Plenary Indulgence in the same conditions if, united in spirit and thought to the faithful present, particularly in moments in which the Words of the Supreme Pontiff or of the Diocesan Bishops are broadcast on television or radio, recite in their own home or where the impediment keeps them (for example in the chapel of the convent, of the hospital, of the nursing home, of the prison .) the Our Father, the Profession of Faith in any legitimate form, and other prayers in keeping with the objective of the Year of Faith, offering the sufferings or discomforts of their life. 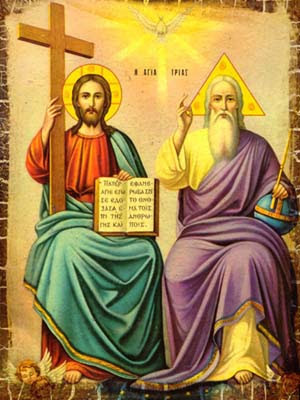 In order that access to the sacrament of Penance and the obtaining of divine forgiveness through the power of the Keys is pastorally facilitated, the Ordinaries of the places are invited to grant to canons and priests -- who in the Cathedrals and in the designated Churches for the Year of Faith are able to hear the confessions of the faithful --, the faculties limited to the internal forum, of which, for the faithful of the Eastern Churches is canon 728, paragraph 2 of the CCEO, and in the case of an eventual reserve, those for canon 727, excluding, as is evident, cases considered in canon 728, paragraph 1; for the faithful of the Latin Church, the faculties of which are in canon 508, paragraph 1 of the CIC. The confessors, after having admonished the faithful on the gravity of sins to which is annexed a reserve or a censure, will determine appropriate sacramental penances, such as to lead them to the most possible stable repentance and, according to the nature of the cases, to impose on them the reparation of eventual scandals and damages. Finally, the Penitentiary warmly invites the Most Excellent Bishops, in as much as holders of the threefold munus of teaching, guiding and sanctifying, to take care in explaining clearly the principles and dispositions proposed here for the sanctification of the faithful, taking into account in a particular way the circumstance of place, culture and traditions. 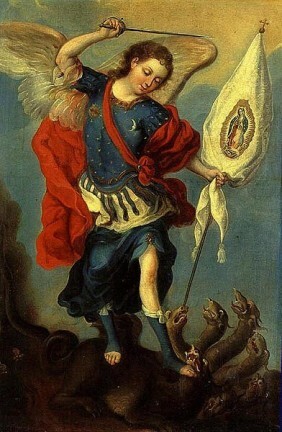 A catechesis adapted to the nature of each people, will be able to propose more clearly and with greater vivacity to the intelligence and root more firmly and profoundly in hearts the desire for this unique gift, obtained in virtue of the mediation of the Church. The present Decree is valid only for the Year of Faith, any contrary disposition notwithstanding. Given in Rome at the Headquarters of the Apostolic Penitentiary, September 14, 2012, on the Exaltation of the Holy Cross. MYTH: Columbus was sailing to prove the world was round. MYTH: Queen Isabella sold her crown jewels to finance the first journey. MYTH: There was a priest on board the Santa Maria in 1492. 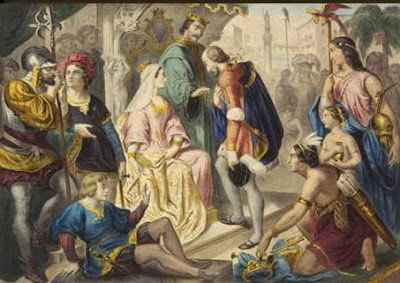 MYTH: Columbus introduced slavery to the New World. 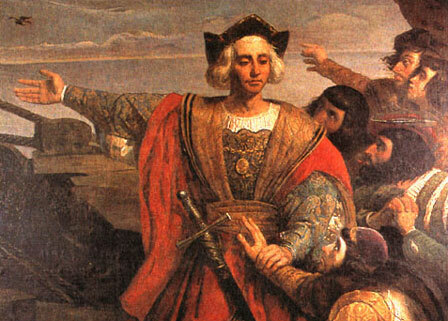 MYTH: Columbus died a pauper, in chains, in a Spanish prison.